What is 11 minus six? Porters Great House Cottage is a beautiful villa nestled within the renowned centuries-old Porters estate. The cottage enjoys a gorgeous location within this iconic property along the island’s West Coast and offers a stately welcome with a winding driveway through an enchanting mahogany forest. The living room is a cozy nook complete with a calming, modern décor, a large comfy sectional, a study table and cable television. The living room then opens to the newer wing of the home, which includes the dining room, kitchen and the remaining two bedrooms. The dining area is the pièce de resistance of the home, with quasi-rustic décor including a large metalwork chandelier, marble floors and a semi-open-air ambiance thanks to its open design that flows into a small garden. It features a wall designed entirely of wooden shutters, and then it opens and flows directly onto the corridor that leads to the other two bedrooms in one direction, and to the cottages entrance in the other direction. This corridor’s design features a wrought iron gate wall, which leads out into a small garden with a small, elevated lily pond. The dining room also has a high ceiling with an intricate woodwork design for optimum ventilation. The kitchen is very modern and spacious, with marble floors, quartz counter tops, an island, two sinks (one double and one single) stainless steel appliances including a dishwasher and espresso machine, tableware and a wall of windows that allow cooling natural breezes. There is also a small laundry room right off the kitchen. A cook is included with your rental who prepares three meals a day for you. There is also a housekeeper/laundress who will keep the home is pristine condition. The remaining two bedrooms are identical in their positioning and offering, with walk-in closets, vanity, en-suite bathrooms with single vanities and glass-wall showers, twin beds that may be converted into king beds, and stunning unobstructed views of the Porters estate signature mahogany forest through large double doors. Guests at Porters Great House Cottage have exclusive use of the expansive grounds within the estate including the gorgeous pool house, the large pool and fitness room. 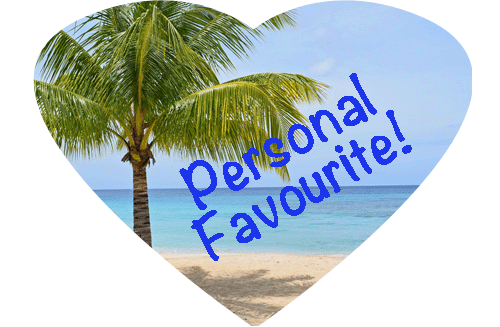 Your nearest beach is a short stroll away and Holetown is less than a 5 min drive away. Holetown, the centre of our west coast, has an abundance of options for shopping, dining and entertainment. This stunning luxury villa is located in the Sandy Lane Estate, with a flowing open plan design, infinity edge pool, dining gazebo and a quick walk down the hill into Holetown. Guests have beach access via the Sandy Lane Property Owners beach facility with private cabana and reserved sun beds. 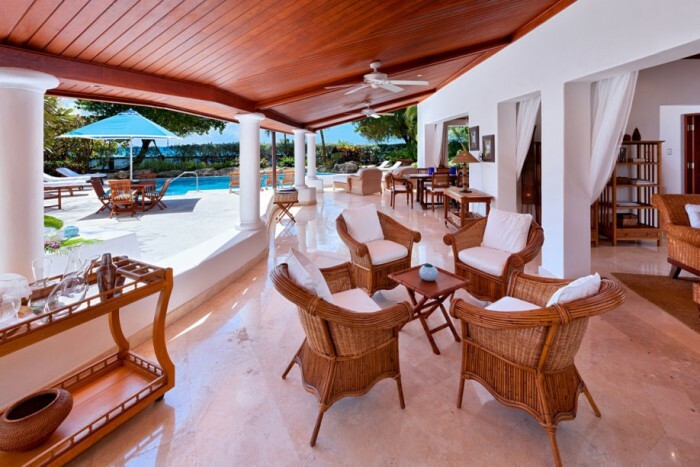 An elegant and very private luxury villa located on the south end of Gibbs Beach, set in lush tropical gardens, tastefully furnished with a very open plan design thus taking advantage of the tropical outdoor living of the Caribbean. There are breathtaking sea views from the balcony of the master bedroom.